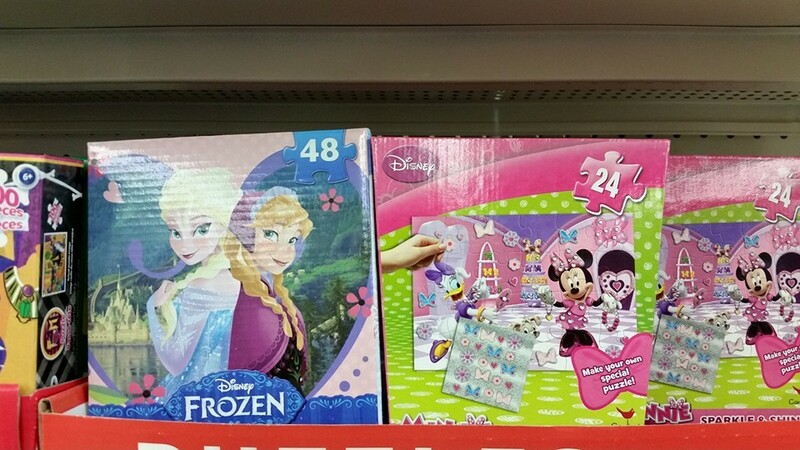 Prepare for Your Next Disney Trip at The Dollar Tree! I originally wrote this piece in October of 2015. I thought with all of my clients headed out for upcoming trips it might be nice to re-run it! I am currently planning a big extended family trip with over 15 of us - yes, I said 15! Check back with me afterwards to see if I survived! Stay tuned for my packing for kids blog post coming soon! Pop up hampers: Even at the Happiest Place on Earth, you may have to do laundry :( Toss your dirty clothes in the hamper and carry them easily to the laundry facilities. It packs easily in your suitcase, and you can throw it away when you leave (it was only $1)! Speaking of laundry, pack a few detergent pods to save on buying them at the resort. Ponchos: Ok, I hate to say it, but it does rain in Florida. Toss a couple of these ponchos in your park bag so if it does sprinkle you can stay dry. I also like them for The Kali River Rapids at The Animal Kingdom. Again, they're easy to pack and much more affordable than the ones they sell at the parks. And if they rip who cares they were $1.00! Hand Soap, Hand Sanitizer and Band Aids: All of the resorts have bar soaps for you to use, but I like to have a little hand soap as well. I find it to be a little less messy with kids, too. The little pocket hand sanitizers are great for the kids. 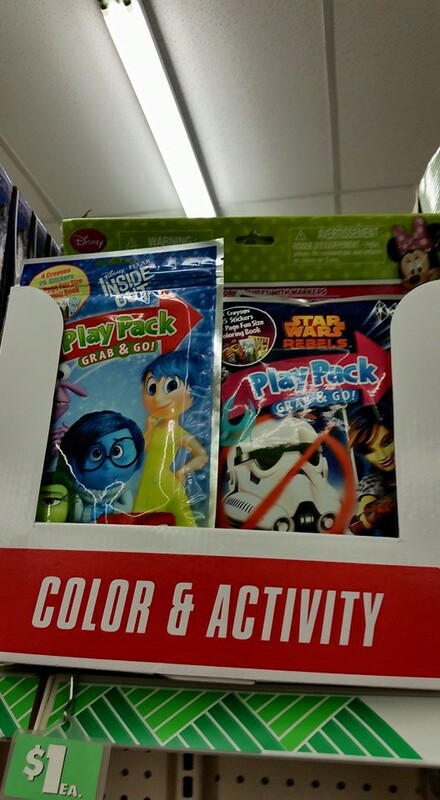 When I shopped, they had Star Wars and Marvel, but I have seen Princesses and Mickey & Minnie ones too. I will say, the parks have amazing First Aid centers. We’ve had to frequent them several times in the past but it’s wise to pack a mini first aid kit with some Band-Aids, Neosporin, etc! 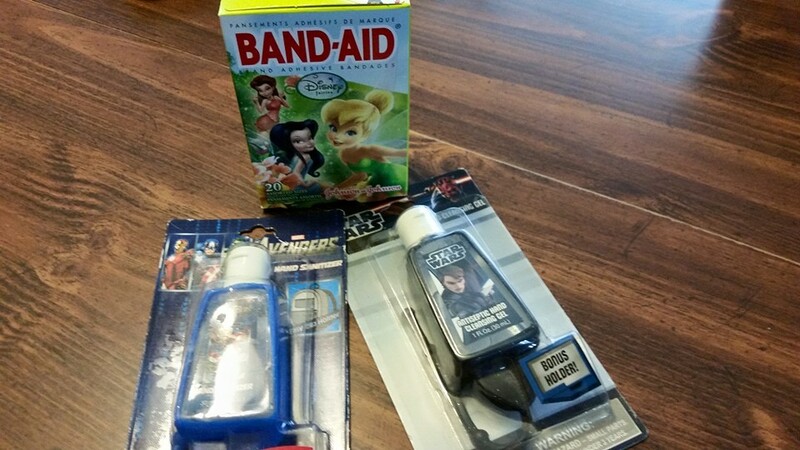 If your kids are like mine, boo-boos appear out of nowhere, and sometimes all you need is a Disney Band-Aid! Tissues and Hand Wipes: I like to toss a couple pocket tissues and hand wipes into my park bag. They are good to have on hand for messy faces and the occasional allergy and sniffle! Magic Wash Cloths: I like to use these as little surprises before we go on our trips! I buy a couple for each kid and surprise them at bath time! Getting a bath seems more magical with a Disney washcloth! Crayons, Puzzles & Activity Kits: I like to take some crayons and activity books and puzzles on the plane trip with us to keep the kids busy. These are perfect. I never worry about them getting lost or ruined on the trip since they only cost me $1. Night Lights: This one can make or break your night at the resort! I learned that the hard way the 1st time we took our kids and didn’t pack one! They have a huge variety to please your princes, pirates and princesses. Character Cups: We usually eat breakfast in our room, and I like to surprise them with a new character cup that they can use. Glow Sticks: We love taking glow sticks to the park at night! They are great to break out before the fireworks. They cost much less than the glow items in the parks, plus for $1 you can afford to buy extras to sprinkle some pixie dust to your fellow Disney lovers around you. If your little ones are like mine they love to be all decked in glow items after my 4 are all decked out it looks like a Disney Rave party! Disney Bracelets: I love these bracelets! 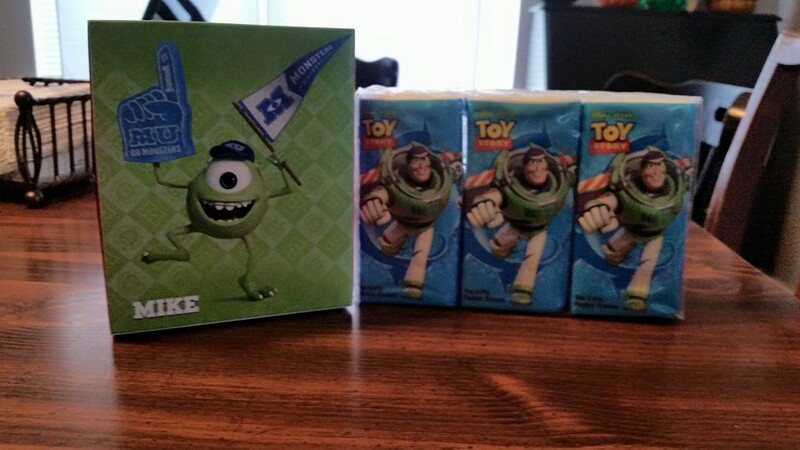 You could surprise the kiddos with these on the plane or one morning before you head out to the parks! Large Pens: My administrative assistant is showcasing the large pens for autographs! Costume characters can have a hard time taking the lid off of a marker or pen, and they sometimes can’t hold them. I also recommend large retractable Sharpie markers! Magnetic Frames: Ok, you might not want to pack these for the trip. But how cute are these for your pics from the trip! 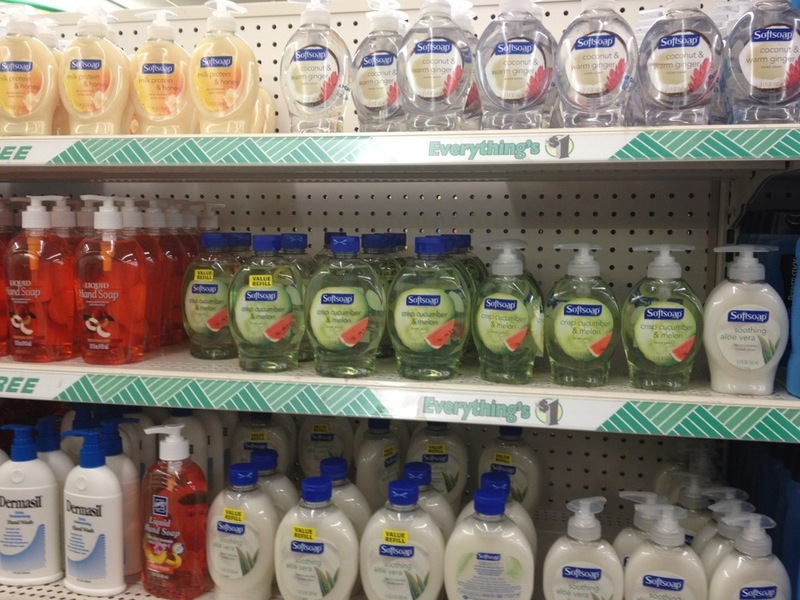 These are just some of the great deals that The Dollar Tree has to make your trip a little easier and more affordable. I say save on what you have to take so you can spend more on what you can bring back! If you would like assistance planning your next trip contact me, i'd love to help!